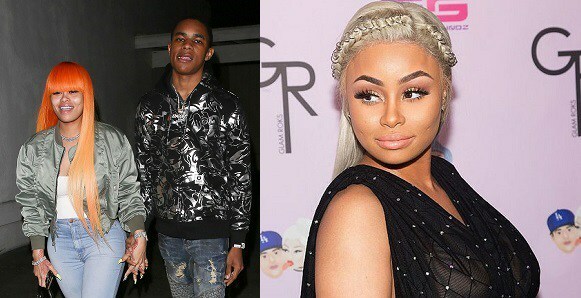 Model, Blac Chyna’s teenage boyfriend, 18-year-old rapper, YBN Almighty Jay seems to want to put a ring on the finger of the former reality TV star. He took to his Instagram few hours ago to share a photo of her and captioned it ‘Will you marry me?’ – his proposal of course, caused mixed reactions on his page as many feel he’s too young to be making such decisions. Some even feel the lady he wants to wife is not the kinda person that should be considered ‘wife material’… for obvious reasons.